Russia, along with other BRICS nations, will invest money for the establishment of a BRICS contingent reserve arrangement, of $100 billion, which will ensure currency stabilization in the event of sharp economic fluctuations. Russia, which will host the BRICS summit in July, will contribute $18 billion towards this reserve. The CRA is the framework for provision of support through liquidity and precautionary instruments in response to actual or potential short-term balance of payments pressures. Russia, along with Brazil, India, China, and South Africa, will build a BRICS contingent reserve arrangement (CRA) which will be used to stabilize local currencies, in the event of their sharp depreciation. A total of $100 billion will be allocated for the creation of the CRA fund, $18 billion of which will be provided by Russia. The Russian government has approved the ratification of the Treaty for the Establishment of a BRICS CRA. The way this mechanism will work is that, in the event that one of the countries who are party to this agreement, suffers a shortage of dollar liquidity, the central banks of member countries of the BRICS will supply a dollar tranche to the affected country. These operations will be very similar to the provision of credit, except that the motive to provide the funds will not be for profit. The specific parameters will negotiated by central banks via special agreements. 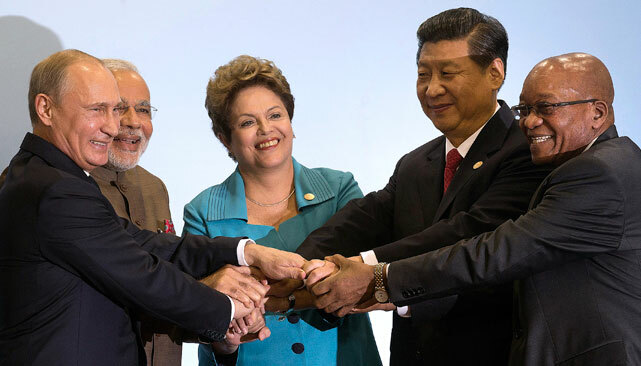 The decision to create general reserves was made in July 2014 at the Sixth Summit of BRICS at Fortaleeza in Brazil. The central banks and finance ministries of BRICS countries participated in the development of the relevant mechanisms. The Foreign Ministry and the Ministry of Finance jointly prepared the draft legislation. To enter into force, it must now be approved by the Russian Government, adopted by the State Duma and the Federation Council, and then signed by the President. The total volume of the pool will be $100 billion. China will provide $41 billion, South Africa – 5 billion, while Brazil, India, and Russia will supply $18 billion each. Each country will have access to the money in proportion to the overall amount of available funds. “Ratification of the Treaty for the Establishment of a BRICS CRA will contribute to the strategic objectives of Russia in the field of monetary cooperation, enshrined in the Concept of Russia’s participation in the BRICS union (approved by the President of Russia on February 9, 2013). This, in particular, will give the international monetary and financial system an equitable, stable, and effective character, in the process of development of privileged bilateral relations among Russia and BRICS partners,” the Russian Government noted.